Chronic digestive complaints characterized by accumulation of food matter and damp. Poor appetite, abdominal distension, nausea, loose or erratic stools. 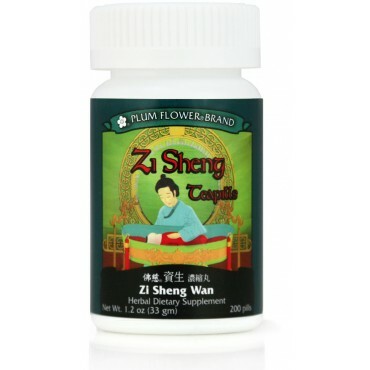 Acute summer damp heat syndromes or food poisoning characterized by vomiting or diarrhea are some of the imbalances satisfied clients have used this product for. Codonopsis pilosula root, Atractylodes macrocephala rhizome, Coix lacryma jobi seed, Massa fermenta, Citrus reticulata peel, Crataegus pinnatifida fruit, Dioscorea opposita rhizome, Euryale ferox seed, Hordeum vulgare fruit, Poria cocos fungus, Dolichos lablab seed, Nelumbo nucifera seed, Platycodon grandiflorum root, Pogostemon cablin herb (Patchouli), Glycyrrhiza uralensis root, Alisma orientalis rhizome, Amomum kravanh fruit, Coptis chinensis rhizome, Botanical wax, Talcum. - Dang shen, Bai zhu, Yi yi ren, Shen qu, Chen pi, Shan zha, Shan yao, Qian shi, Mai ya, Fu ling, Bai bian dou, Lian zi, Jie geng, Huo xiang, Gan cao, Ze xie, Bai dou kou, Huang lian, Botanical wax, Talcum. Contraindicated during the early stages of acute infection or illness, such as cold or flu. Contains gluten, tree nuts & wheat.